With the development of day cab conversion kits nearly 15 years ago, Prairie Technology discovered the difficulty of moving sleeper suspensions forward due to corrosion, rust, and years of wear and tear. Also, sleeper suspensions were designed with different geometry than those associated with day cabs. For those reasons, Prairie Tech began to design air ride suspensions. We offer new air ride suspensions for every major make of Class 8 trucks other than Sterling which is no longer manufactured. Most of these suspensions incorporate new air bags, shocks, leveling valves, sway bars, and new mounting brackets and hardware. 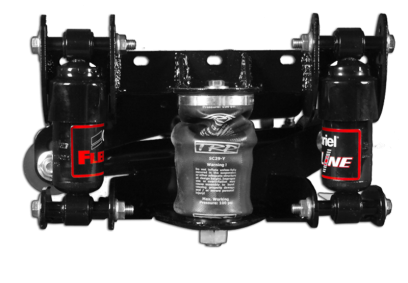 While all of these suspensions have been very popular, the Pete air ride suspension has received fabulous acceptance and has been purchased by thousands of customers both as part of a conversion project or to replace OEM systems. Any of these suspensions can be purchased individually or as part of a conversion kit. 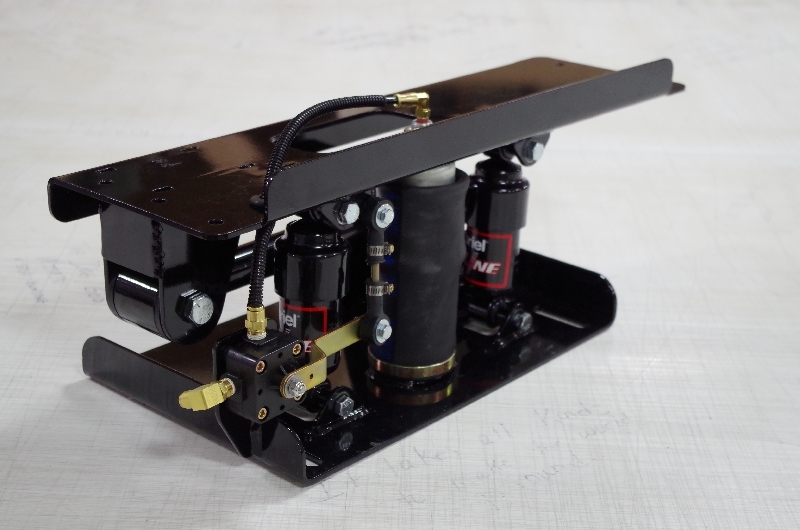 Prairie Tech has just completed the design and manufacture of a replacement air ride suspension for the IHC ProStar sleeper. This suspension is designed with many off the shelf components to enable the truck owner the opportunity to replace individual pieces as they fail rather than purchase an entirely new suspension. The platform is much wider and incorporates a large sway bar into the design. Testing by several large fleets in advance of its retail sale release was very successful. We have included photos on this page of the various suspensions including descriptions, part number, and price. We have not included OEM cross numbers as these suspensions are dramatically different both in design and functionality than the suspension they replaced. Please give us a call at 605-274-0444 if we can answer any questions or place an order for you. We look forward to working with you.